Learn The Fundamental Differences Between Process Server Companies. Review these key points when reviewing process server companies. When you need to serve court papers on someone to appear in court, there are several options. The most important thing to remember is that each type of court hearing may have its own requirements on how to serve someone and how short a time frame you can give the person being served. You need to follow your court jurisdiction’s rules with regards to serving someone and using a process server. While some motions that you draft on your own can be delivered in person by you or mailed via certified mail to the recipient, it is generally not recommended because of the likelihood for violent and/or retaliatory reactions. Subsequently, you will need to hire a process server for your own safety, and to ensure that the recipient receives the documents and the requirement to appear in court. The following pointers will help you decide who to hire, and what to look for in a legal process server. A legal process server can charge a wide range of prices for their services. Some private servers, those who just offer server services to make a few bucks, may charge as little as $30 or as much as $150, depending on whether or not they expect a hostile response from the person being served. Simple matters, such as serving a business owner with papers while the owner is at their place of business, often costs less than serving a violent offender who may hurt the server in the process of being served. Other types of servers include process server companies who work with the court systems to provide these services, and the county sheriff’s office, who are often tapped for the more violent and potentially dangerous cases. 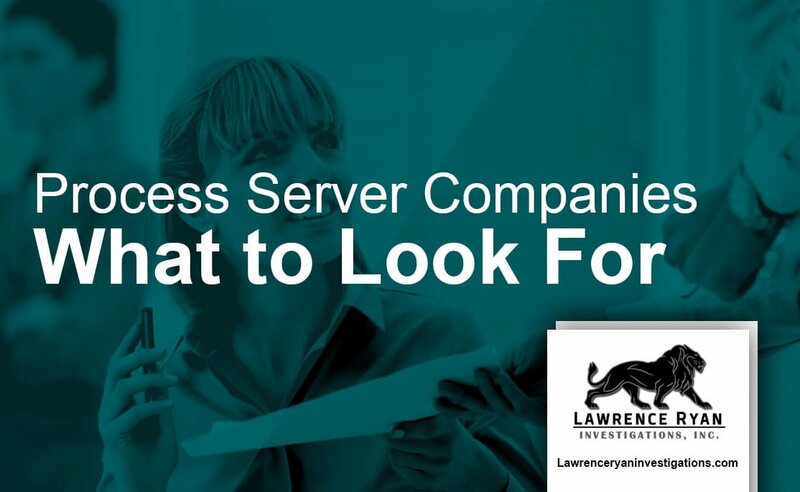 The server companies may also have a graduated fee scale based on the type of documents being served and the recipient, However, server companies tend to be much more costly than a private server. As for the county sherriff acting as the process server, there are often two flat fees charged, based on type of recipient on whom the papers will be served. Other process servers may also charge you an initial fee for the first two or three attempts. Before they charge you further, they may call to notify you that the attempts were unsuccessful and maybe even why they were unsuccessful. They will then ask you if you would like to continue the attempt to have the recipient served, and request additional payments for the number of additional times you would like them to try to serve the papers. This pay-as-you-go process server option is one that many people on a tight budget find easier to manage. Plus, you do not lose as much money by hiring an expensive server who does not do refunds. In the field of process serving, experience speaks for itself. Does the process server or company have a high success rate? How long have they been doing process service? Have they ever had hostile encounters, and how have they dealt with them (if applicable)? All of these questions are pertinent to any situation wherein court documents must be served. At least twenty years experience is preferable, since that indicates success and a vast array of experiences and interactions with all kinds of people. You will also want someone who can and is willing to serve outside county and state borders (although you may have to pay travel expenses for any out-of-state or long distance travel). If the person being served is within the same city as you, but on the very fringe of the city’s suburban areas, you want and need someone who can provide services for these shorter distances too. If you cannot find the person you are trying to serve, halt. Do not hire a process server until you absolutely know where this person is. Better still, hire a P.I. who fits all of the process server qualifications above, meets your needs and budget, and who can actually act as your process server too. This is most convenient for many clients, since they do not have to pay two separate fees to first locate the recipient, and then serve the recipient. A P.I. generally charges a flat fee up front (retainer), which pays for the expenses incurred in locating the recipient and then serving him/her. If you live in the Chicago area, consider Lawrence Ryan Investigations for your process server and person-finding needs. 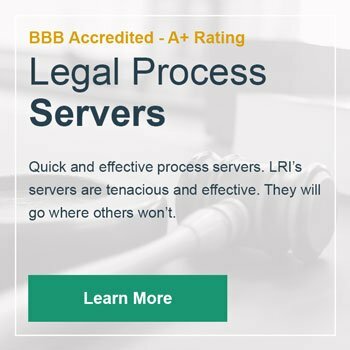 LRI is a BBB accredited private investigation firm with A+ rating. We go above and beyond other process server companies in Chicago, Il.